Heavenly had a hard start in life. 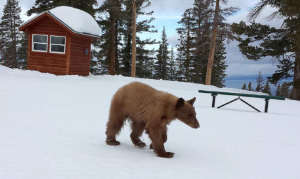 Alone, with no mother to care for him and teach him to hibernate, the yearling bear tried his best to survive through a lonely, cold winter, near the Heavenly Ski Resort in Lake Tahoe, California. It wasn’t easy. In March 2014, he was found injured and so thin he probably wouldn’t have lived much longer. Captured and cared for by a terrific wildlife rehabilitator in Lake Tahoe, he recovered and was released back to the wild. Unfortunately, within a few weeks he was back near the ski resort, the only place he’d known as home, looking for food from people. He was recaptured and would not be released again. Heavenly needed a permanent home where he wouldn’t be alone or afraid again. Southwest Wildlife is that home. Together, we'll make sure he doesn't have to worry about his next meal! Make Heavenly's life just that – heavenly – by contributing to his care through our "Sponsor an Animal" program. 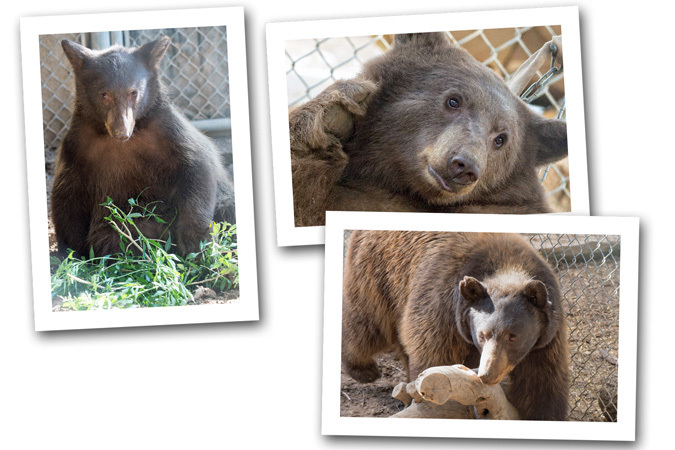 Read more about Heavenly bear's journey from California to Southwest Wildlife.